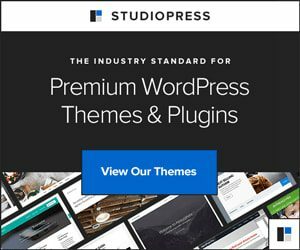 If you just want a website or blog with a custom domain name (such as example.com) without getting your hands dirty or worry about managing all the back-end pieces of stuff and keeping it updated, I highly recommend you to check out WordPress.com. Though their basic plan is free, I suggest you upgrade to their Personal plan which comes at just $2.99 per month along with a FREE domain name and a whopping 6GB of storage space. Now, if you prefer getting your hands dirty like me, continue reading. In this post, I will just be outlining the steps to create your own website and not cover how to make a WordPress website in detail. To create your own website, you will be needing two things in hand – a domain name and a web hosting plan. A hosting plan is required to host your files on the internet. Whenever your website is accessed, the files are fetched from your server. 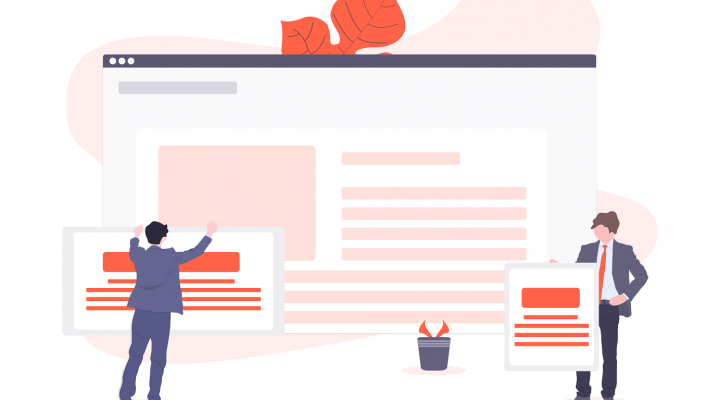 If you need a powerful set of tools, modern design language, and more control over your website, forget the traditional website builders and go with WordPress. WordPress is a semantic publishing platform built using PHP and MySQL. WordPress can also act as a content management system and it powers around 32% of all the websites on the internet. Moreover, you can download and use WordPress for free to design and develop your own blog or website. Buying a domain name and a web hosting plan for your website will cost you around $3 to $5 per month. You can make use of coupons to bring down the total cost. Considering all your other expenses, this shouldn’t burn a hole in your pocket. Buying a custom domain name will make your website look more professional when you share it with others. Now you have got two options – to either buy a domain name and hosting separately and connect them or buy a web hosting plan which comes with a free domain name. I would recommend you to go with the latter but feel free to do what you want. Buying your domain name separately from traditional domain registrars like NameCheap or GoDaddy and connecting them to your hosting account allows you to easily migrate your website to a different host in case you need to do so in the future. For the sake of this article, let’s choose a web hosting plan that comes along with a free domain name, assuming we are going with either Bluehost or SiteGround. Both of them offer a free domain with all their shared web hosting plans and come at an affordable price of just $3.95 per month. Also, you will be getting unlimited personal email accounts using which you can create professional email addresses like hello@example.com, newsletters@example.com, etc. Now you need to register your domain name – either from a separate domain registrar or using the free domain credit you earned from your web hosting plan. It can be something like simply yourname.com, anything similar or different. It all depends on your requirements – whether you are starting a personal blog, a niche site, online store, business, etc. Once you have decided on a perfect name for your website or blog, proceed to your favorite domain registrar or head over to Bluehost or SiteGround and check if your domain name is available. Register it if it is available right away so that you don’t miss it out to someone else. If this is the first time you are registering a domain, you should definitely read how to choose a perfect domain name for your site. All hosting plans come with the famous 1-Click installation of WordPress using which you can install and set up WordPress easily on your server. Once you sign up for a hosting plan and login to your account’s control panel, you can easily find the WordPress icon and install it in one simple click. Don’t worry, auto-installer software will be easy to use and help you in configuring the basic foundation for your website. Since Bluehost and SiteGround are officially recommended by WordPress, it will run flawlessly on their servers. DreamHost and Kinsta Managed WordPress Hosting are two other web hosting companies which I recommend due to their popularity and quality of web hosting services. In case you face any issues while setting up your website, you can always contact their experienced support staff who are available 24/7 to assist you. They will also help you to migrate your site to or from their servers any time you need. Moreover, their hosting servers secure as they make use of the latest security standards to prevent your website from getting hacked or infected by malicious parties. SiteGround has already started deploying the latest version of PHP 7 on their servers. PHP 7 is way faster than all previous versions of PHP. In case you are not satisfied with their web hosting platform, you can cancel your plan any time and get a full refund – thanks to their 30 days money-back guarantee! If you’ve still got any questions lingering on your mind, feel free to leave a comment or get in touch with me. If you need more help or someone to create the website for you, you can always hire me to set it up for you. @tony733t do you know how we can get a business.blog extension for free, as i got “atulgirishkumar.business.blog” for free. I don’t think we can get a .blog domain for free. You would’ve got it along with one of your Personal, Premium or Business plans on WordPress.com. I did not pay any money, that for sure. WP is giving blogs with or own domain name… is it worth buying. Will it change the current followings. Will I have to build my blog again? In this post I’m talking about the self-hosted version of WordPress, not WordPress.com. From what I’ve understood from your question, when you upgrade to a Personal, Premium or Business plan on WordPress.com, you will be getting a free domain name. You needn’t set up your blog again, neither will you lose your current followers. It will be automatically mapped to your existing WordPress.com blog. Thank you so much…😊 yes that was exactly my query. You got it right.